Kazakhstan is not usually the first place you think of when you're debating working abroad but it's the new place to be with a huge educational reform occurring in recent years. There are a number of opportunities available for any teachers searching for an exciting work experience in such a unique country so is definitely worth considering! NIS (Nazarbayev Intellectual School Network) have schools in a number of locations throughout Kazakhstan which are bringing a programme of educational reform to the country. It aims to encourage a new way of educating students and is keen to enlist the help of qualified and experienced English speaking teachers to really push the project forward. A specific role for these foreign teachers is to work in collaboration with the local teachers, supporting and mentoring with planning, assessing and teaching. By taking up the offer of a job in one of these schools you can learn from the local teachers as well as teach them, you can share knowledge and skills and bounce off each other. One successfully placed teacher in this area, Ian Shotter, is an ICT teacher who was placed in an NIS school in the Kazakh city of Semey in Kazakhstan. Ian loves the job so much he's hoping to stay out there for a few more years. Having previously worked in a variety of secondary schools in England he had the experience and skills needed to be recruited by the NIS. The style of teaching can be very different to in the UK and language barriers can sometimes be an issue at first. But Ian feels he has adjusted to the new way of working quickly and feels that nobody should let this put them off. The curriculum used is written in association with Cambridge University and is already introducing vast skill development and progression to the country. Corey Johnson is another teacher who was successfully placed in Kazakhstan. As a geography teacher originally from Missouri in the USA he has been working internationally for over 7 years visiting a number of countries. He also had to adapt quickly to the new way of teaching which varied greatly from America's style. Corey particularly likes how diverse the teachers he works with are as well as the students, coming from a huge range of cultures and backgrounds. It has taught him a lot about cultural differences and he has learnt how to adapt his teaching to fit with his students. He was amazed at how so many different people and cultures could come together in harmony and work so perfectly together. When taking up an opportunity of teaching abroad flexibility, strength of character, adaptability and an adventurous spirit are all important character traits to hold. Saying goodbye can be hard and it can be scary to start all over again somewhere completely new, but the adventure is just beginning. Sometimes things might be hard but the adventure should spur you on and a whole lifetime of memories can be made. In the past few years the number of international schools around the world has risen a huge amount and opportunities for teachers is continuing to grow. The schools provide fantastic educations for both expatriate children and local children seeking English speaking educations. Most of the schools have great reputations for the opportunities they can provide. In countries like Kazakhstan the schools are even challenging the face of education throughout the country. This all means it's an exciting time for skilled and experienced teachers that wish to travel. Being part of an educational reform can be a compelling and challenging experience which can allow teachers to grow professionally and personally developing a large variety of skills along the way. TIC Recruitment provides qualified teachers and school leaders with jobs in leading international schools overseas. From vacancy search to job interview to taking up an overseas position, TIC Recruitment's services are completely free for teachers. 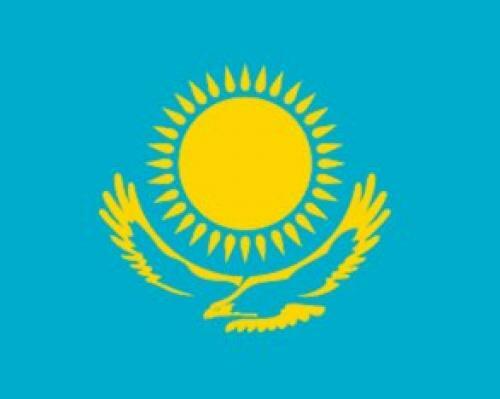 For more information about working in international schools in Kazakhstan visit TIC Recruitments website at http://www.ticrecruitment.com or give them a call on 02920 212 083. Is Teaching English in Thailand a Viable Option?